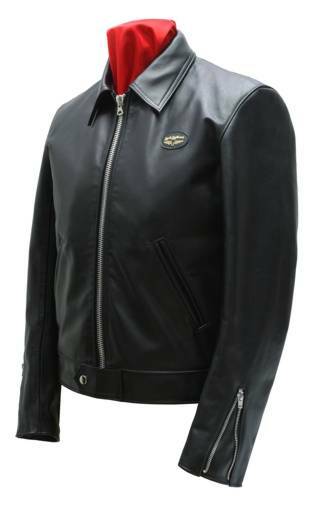 The Corsair first appeared in 1962 and was an immediate success as both a jacket for motorcycling and for casual wear. The style was updated in 1965 when it was lengthened. The length of the current version is between the two but as with all Lewis Leathers jackets, customers can order the length which suits them best. A variation of the Corsair jacket was worn by the Luftwaffe pilots in the 1969 movie ‘The Battle of Britain’. A practical jacket made from premium chromed leather that’s suitable for everyday wear yet tough for rough service. Features include all leather waist band with adjustable side belts, bright red, warm, sailcoth lining, two smart front pockets and useful inside wallet pocket. The front and cuff zippers are rustproof and the jacket has an elegant one piece back panel. Please note that larger sizes are available but are subject to a surcharge of 30% for 46″ & 48″ and 40% for 50″ & 52″. Please email us using “Contact Us” option above for larger sizes.